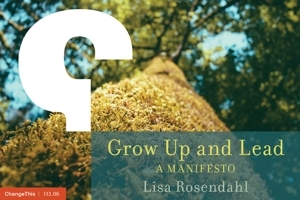 Lisa Rosendahl — YES! What a Feeling! You have a open position to fill. Of course, you have a vision for how you see the position operating. You know what you want the incumbent to accomplish and just what level of independence or initiative you hope (with baited breath and fingers crossed) to see. You select the person you feel can do that and then you see them doing it. YES! What a feeling! Staff step up and take the initiative to anticipate and respond, to provide support (personal and professional) for a co-worker in need, and to flat out do what needs to get done - without prompts. YES! What a feeling! Makes me want to jump across the desk and give them a big hug - but being pretty proficient in HR I know I probably shouldn't - so I just smile very broadly and tell them exactly how I am feeling. YES!